Adelante, meaning "Go Ahead" in Spanish, offers our all guests the benefits of a home from home atmosphere, at affordable rates. We are easily accessible to and from the N1, and situated in the centre of Bloemfontein's leisure, sport & business hub. Our accommodation includes all the facilities you need to get work done during your stay, or simply relax and enjoy Bloemfontein. All rooms at Adelante Lodge are equipped for your every need for a stay that feels like home-from-home. 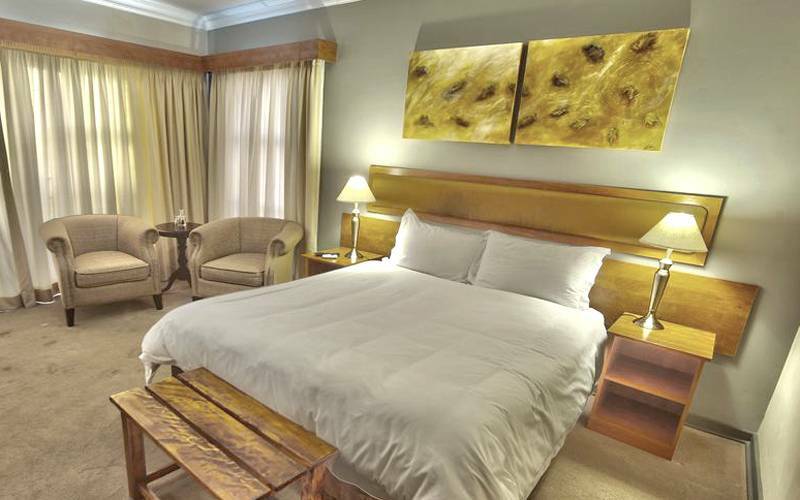 Our twin rooms come with two spacious 3/4 beds, separate bathroom with shower and work desk. All our Double Rooms offer the comfort of a queen size bed. They include a space to relax, and a desk for work. Our spacious Family Rooms offer 2 queen beds, or a queen and a single. Plenty of space for the whole family. We appreciate your feedback. Please do take a moment to give your feedback to us and new customers via one of our online channels. Nicely renovated,Love the rooms and the people working here thery friendly. The rooms are big and beautiful. The staff was friendly too.